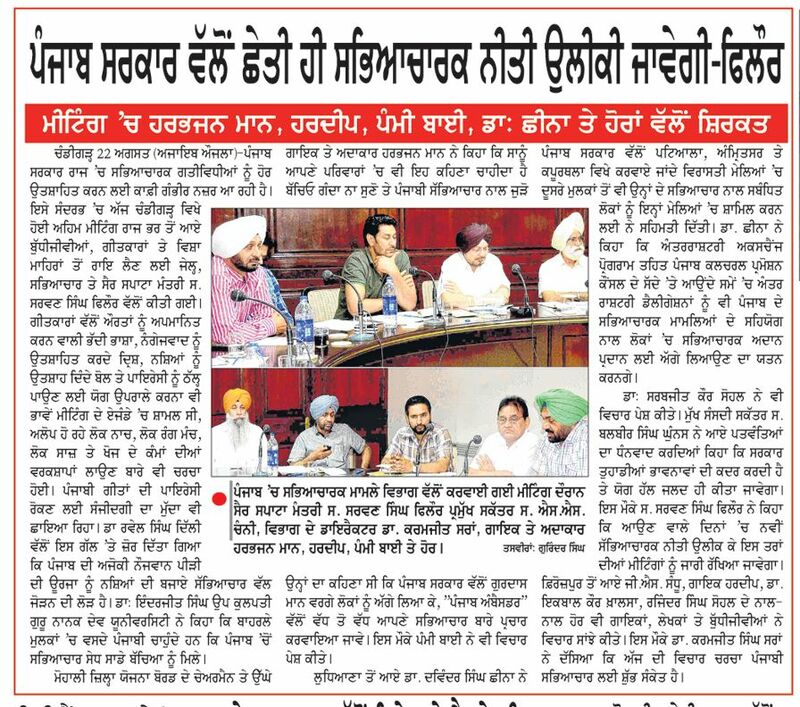 Crafting the Culture Policy of Punjab..! Page 5. Daily Ajeet, August 23, 2012. ‘farmers’ are there who labour since the seeds? and savour since the harvests one needs..! Good bye, huh, luck Punjab.